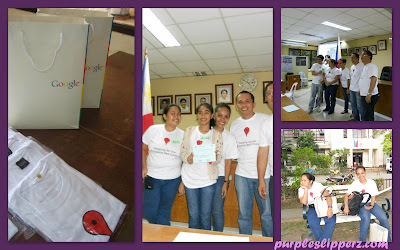 Iligan Bloggers Society hosted a Google Mapping Party last July 30, 2011 at the Sangguniang Panglungsod Session Hall Buhanginan Hills Pala-o Iligan City. There are 30 registered and 27 RSVP'd Iliganons who participated the event. It was a fun filled activity mapping the city as much as we can in response to Google's Campaign for Mapping for Red Cross. Marjority of the landmarks and roads are already mapped out. And the team finished almost 95% in the commercial area. 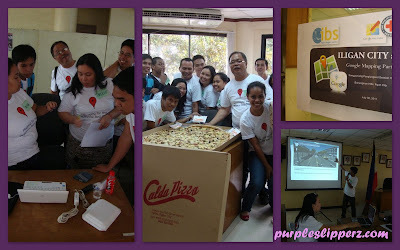 I was then using 2 log-ins during the event since I signed in as iliganbloggers and purpleslipperz at the same time, hehe. And to date I am happy to see approved notifications in my inbox. We will surely be organizing another map out soon, and I hope this time a lot more would participate.